The West Bengal Madhyamik Pariksha Examination, for the year 2015 will begin on Monday across the state. The first examination this year will be First Language, which includes Hindi, Bengali and Nepali. 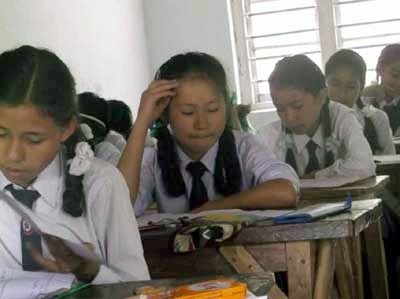 The WBBSE North Bengal regional office chief Pradip Biswas said the total number of students in North Bengal including Katiyar this year adds up to 2,38,395, which is comparatively lower than the numbers last year. “There are a total of 17,061 students attempting the Madhyamik Examinations from Siliguri this year. Malda has the highest number with 44,687 students, while South Denajpur has the lowest number with 23,432,” Biswas informed. The Madhyamik Pariksha Examination, for the year 2015 will begin on Monday across the state. The first examination this year will be First Language, which includes Hindi, Bengali and Nepali.